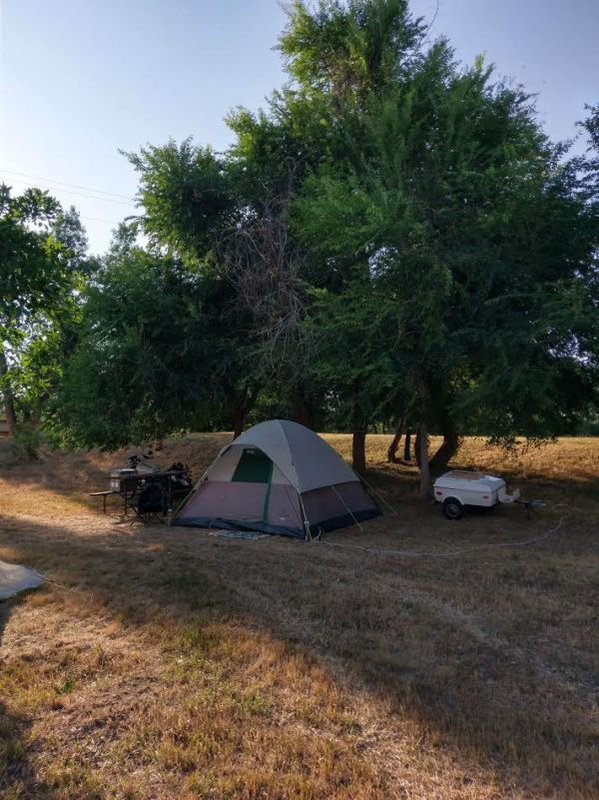 This entry was posted in Friday Fictioneers, Our Story, Writing and tagged Accident-prone, camping, Jan W. Fields, Rochelle Wisoff-Fields. Bookmark the permalink. Thank you for taking us on the road down your memory line, that is one funny and charming story. Seriously… I had to refrain from using the real language used at the time! Everyone on that camping trip have that memory of Mick – he was a pro at giving us stories to tell! xoxoxo my Lovely! HOW DID I ALREADY KNOW THAT!! Grins….and hugs. Honest to God, Kent, he was a magnet… Which is great for my storytelling! Such a funny, happy kind of story. Well done. Thanks… we laughed so hard…though he really could have hurt himself worse! I love how he see no fault in his taking the bike through there. Men! It’s always someone else’s fault. In his defense, they hung towels when they were there so we knew the line was, once they were gone, no towels = no see line! He was lucky it wasn’t tighter! Good news about your computer saviour – my brother-in-law puts my laptop right from fifty miles away. He is my lifeline. Oh yes…maybe I should have included the picture of him..
I’m doing a happy dance for your computer. For me that’s up there with car problems. One could say that Mick was a little on the accident prone side. I had to laugh at visual. Love your memoirs. Keep ’em coming. That is a nice way of putting it… klutz comes to mind. Tracy tells it so well as she was there in real time! She does the strangulation sound so well! Oh yes! Can’t count the number of times I did such a thing! Glad you liked it!! What a story, and it is really real too! Glad to hear that you have a great working pc again. What would one do without one?! Yikes! Clotheslined! This was almost like a conversation I had with one of my brothers who did something similar not long ago. Cute story–I can see you smiling as you tell it. Thanks Merril! I do smile as I tell these tales! Fellow campers can be fun, a hazard or downright annoying. You caught all that in this tale. Thanks for a glimpse inside your memories. Ouch. To know that that might actually have happened only serves to heighten my alarm. People need to clean up better after camping or there might be a real hanging in their future. Great story. Yes, it could have been really awful but it wasn’t so now it’s a funny story. Glad you liked! Hah! He did have many surprise endings! And yes. Thank goodness for that option! Ha ha… OK…Let’s say it was that! Oh my I feel for poor . Lovely story that I could clearly envision. Some of us are just an accident looking for a place to happen. I could tell off on myself, but we’ll save that for another day. So true… huge magnets for trouble! I have this cartoon image of the poor chap spinning round like a whirligig while his bike continues its merry way to the facilities. Ha ha ha!!! Yes…. now I do!! Nice story. My uncle had a similar encounter. He strung a brand new clothesline across his backyard, which was also a busy route for snowmobilers. When a rider complained about the danger of someone hanging themselves on the line, my uncle came up with a plan. He hung a white salt beef bucket on the line so snowmobilers could see the line. Trouble was, it rained that night, and then later that night it froze. The next morning, my uncle found a snowmobiler laying in his yard. He ran into the ice filled bucket, knocking himself out. Thanks for the memory of this funny but yet tragic thing. Oh my!! But was it his private property? Unless he gave permission for them to cross his yard…. yikes! it was his backyard, and as far as giving permission, he didn’t. Then….sorry, but too bad snowmobiles! He couldn’t have better arranged the situation!! I’m laughing, I shouldn’t be, but I am. Gotta watch out for those clothes lines. LOL…I used to camp all the time and can totally see this happening! This is one of those stories when you really shouldn’t laugh, but can’t help yourself! Ha ha! Yes indeed… so glad you laughed! Super duper new old one! I don’t know what I’d do without a working computer, yay for having one again, Dale. The story is too funny and I’m glad it didn’t hurt him worse. I’m usually doing stuff like that as well.